NAIROBI – Cancer experts are calling on the increased uptake and use of locally conducted research to best understand the causes of cancer, help improve care for patients and ultimately reduce the cancer burden in the country. At the ongoing international cancer conference organized by Kenya Society of Haematology and Oncology (KESHO) themed “Integrating Research and Practice”, experts are advocating for home-grown solutions driven by cancer research and best practice. They are also calling for increased access to information among patients and clinicians alertness to aid in early detection of cancer cases. The Chief Guest at the conference, H.E. 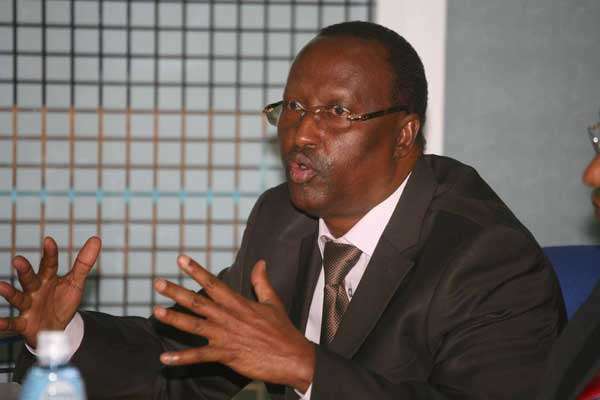 Dr Mohammed Abdi Kuti, the Governor of Isiolo County and Chairman of the Council of Governors Health and Biotechnology Committee quoted the recently released GLOBOCAN data that out of the expected 9.6 million cancer deaths in 2018, about 80% will occur in low and middle-income countries. “In Kenya, it is expected that we will have 47,000 new cases in 2018. Out of these, 70 per cent will succumb to the disease. This clearly indicates that cancer has become a cause of premature deaths. If we are to reduce these numbers, research comes in handy. Through research, cancer experts can best understand what ails the community, the prevalent areas and devise countermeasures to reduce new cancer incidents, improve timely diagnosis, treatment and ultimately increase survivorship”, said Governor Kuti. Dr Sitna Mwanzi, Chair, Kenya Society of Haematology and Oncology said that over the years African countries have heavily relied on cancer research conducted in the European world to treat their patients locally some of which is sometimes not applicable due to the social-economic status, availability of cancer treatment and screening facilities among other factors. The three-day conference is being attended by over 250 delegates of different specialities including, cancer experts, physicians, cancer nurses, radiation therapy technologists, cancer support groups among other like-minded cancer networks. Kenya Society of Haematology and Oncology is an organization founded by oncologists and allied healthcare providers to be a catalyst for research in cancer and blood disorders, to improve patient care and stimulate capacity building for cancer patients both regionally and nationally and to provide physicians involved in the diagnosis and treatment of cancer and blood disorders with a forum to discuss ideas for purposes of improving practice outcomes.